The men at our Men’s Shed in Lakes Entrance were the delighted recipients of a cheque for $3,000 last week, thanks to the generosity of the Metung Bloodhounds. Bloodhounds’ members – Lou Moore, Louise O’Loughlin and Karin Liedke, met the group of men at their Shed in Jemmeson Street to officially deliver the cheque and take a tour of their shed. The kind donation will allow the Shedders to purchase a much needed heating and cooling system for their shed. To pay forward their good fortune, the men decided to donate a picnic table that they had recently handcrafted to the Metung Bloodhounds to use for their next fundraising project. How brilliant is that! To say the shed was bursting with kindness and community spirit at the time is understatement! 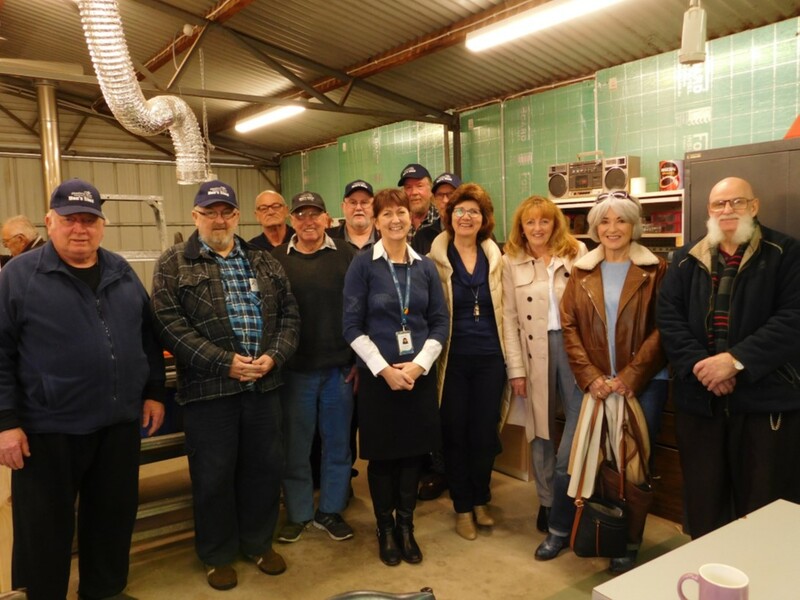 Our Men’s Shed is now in its 16th year. It provides a space for shedless blokes of all ages and backgrounds to socialise on a weekly basis and share their valuable skills and knowledge. The group meet Tuesdays at our Jemmeson Street site. To find out more about our Men’s Shed, contact our health promotion team on 5155 8300.